Caughlin Athletic Club welcomes Davis Alt to our team. Davis will assist us in putting our boxing program together which we expect to be up and running in the next few months. 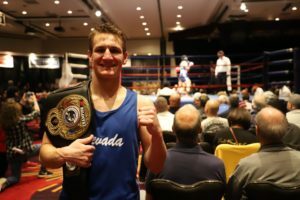 Ault is a Freshman on the University of Nevada boxing team. He is a two time most outstanding boxer in tournaments this year (2019). He just won the 139lb College Boxing National Championships and is a Freshman All-American.